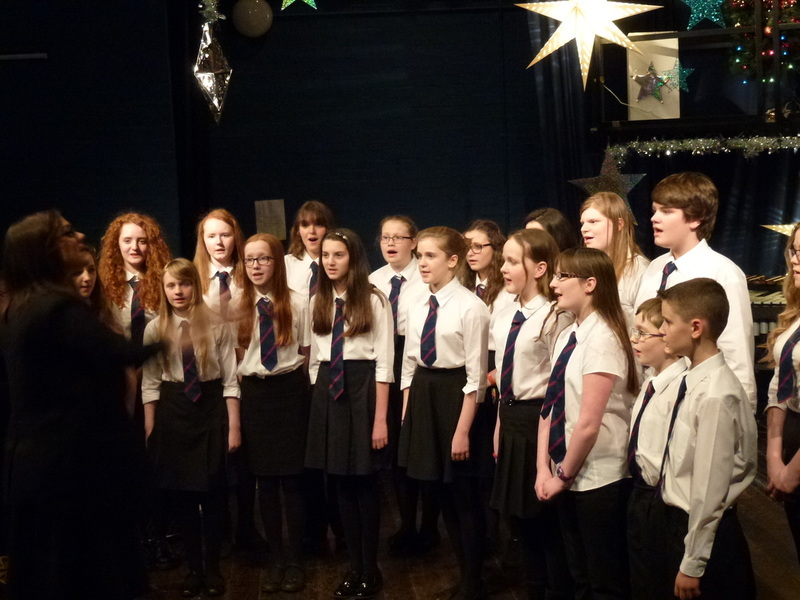 Tuesday 31 March - Well done to the 80+ pupils who put on a most impressive feast of musical talent last night at our Spring Concert in the school theatre. 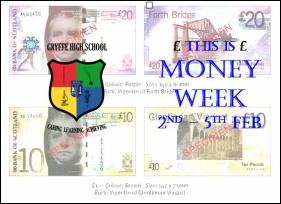 There are a number of week-long courses available for pupils in S4-6, specifically tailored to desired areas of academic interest. Look under SQA/CfE tab, and the Senior Phase. 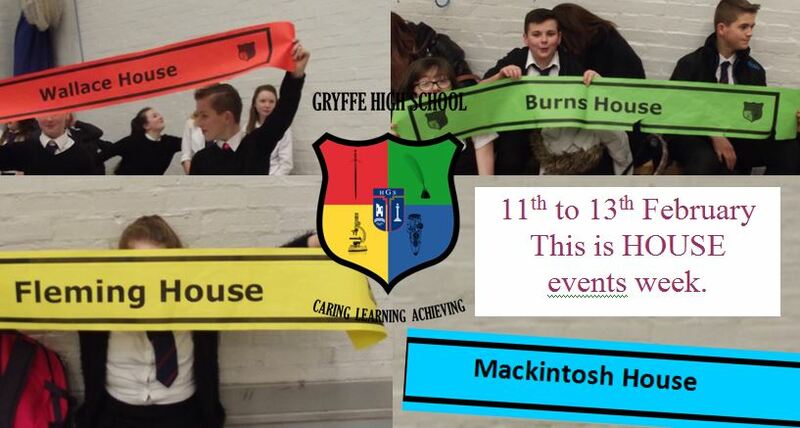 Friday 13 February is a wear your House Colours non-uniform day. 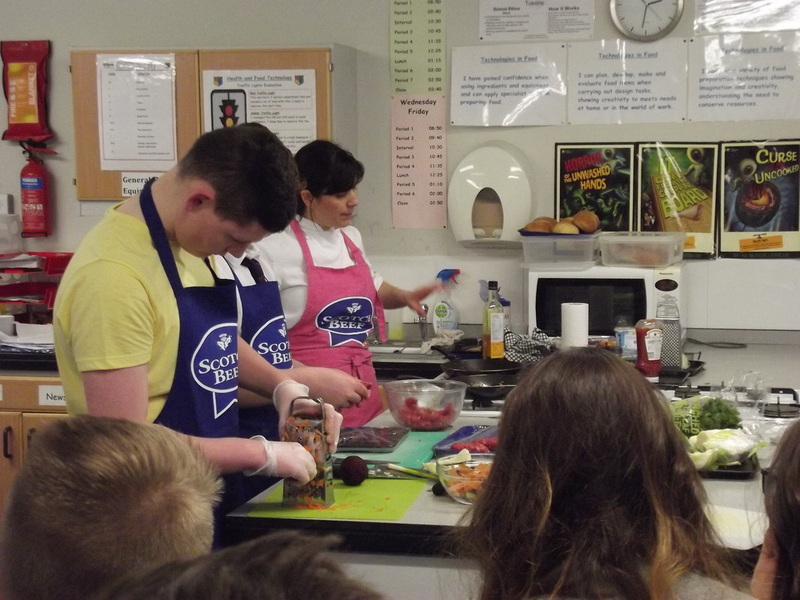 Almost 120 S1 to S3 pupils enjoyed a demonstration from Quality Meat Scotland in Health and Food Technology. 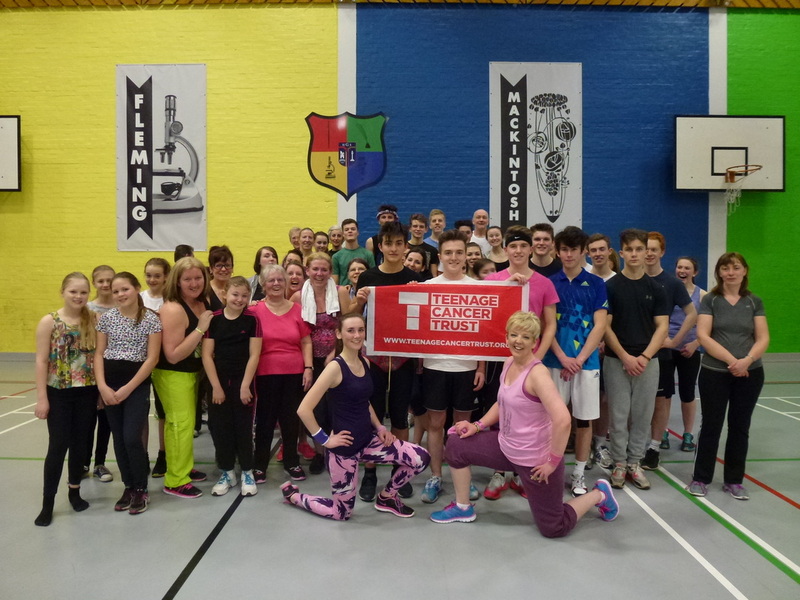 All had a great session at the Zumbathon in aid of Teenage Cancer Trust. Further detail will be in the March Newsletter. The February Letter, 2015, has been uploaded under the NEWS/LETTERS section. The February Newsletter, 2015, has been uploaded under the NEWS/NEWSLETTERS section. UWS BUS - S4 pupils enjoyed a unique learning experience when the UK’s first fully digital mobile campus came to Gryffe High. UWS commissioned the custom built vehicle equipped with cutting-edge technology - the internal specification of the bus includes satellite broadband, iPad wireless connectivity, BYODL connectivity and state-of-the-art 3D Occulus Rift and Google Glasses connectivity. 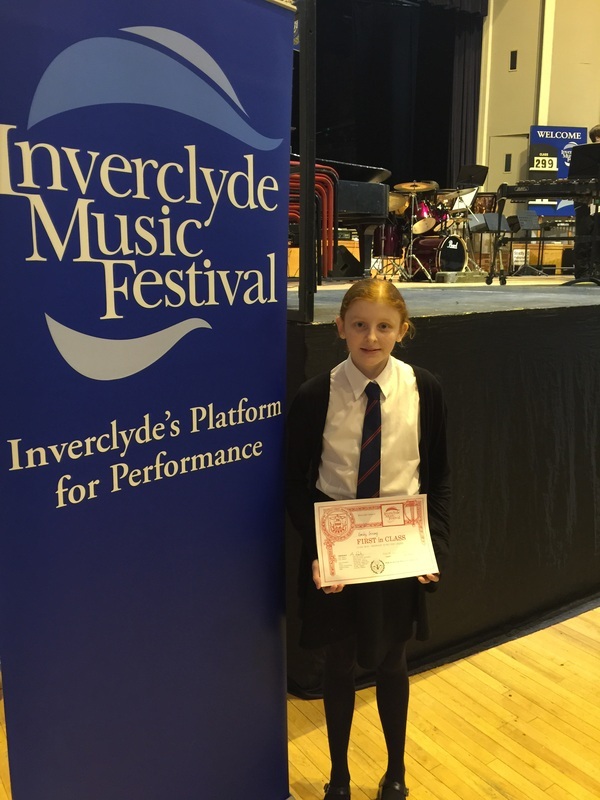 Emily Irving 2FM attended the Inverclyde Music Festival in the Greenock Town Hall on Saturday for the Under 15 Drums Kit Section and came “First in Class” with distinction. The January Newsletter, 2015, has been uploaded under the NEWS/NEWSLETTER section. 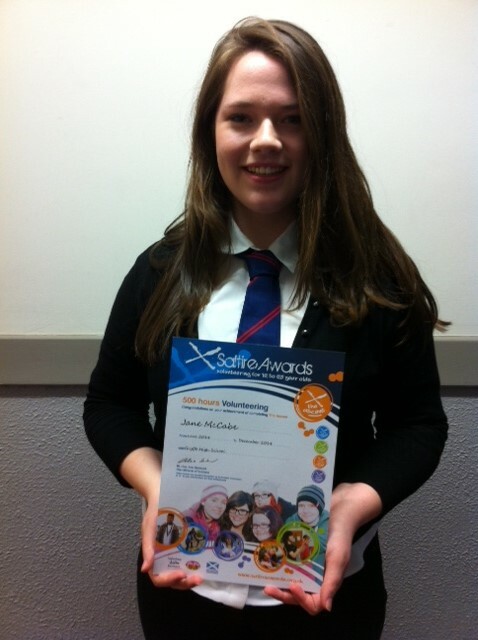 Congratulations to Jane McCabe 5M for being the first Gryffe pupil this session to be awarded the Saltire SUMMIT Award for outstanding contribution to volunteering - over 500 hours. 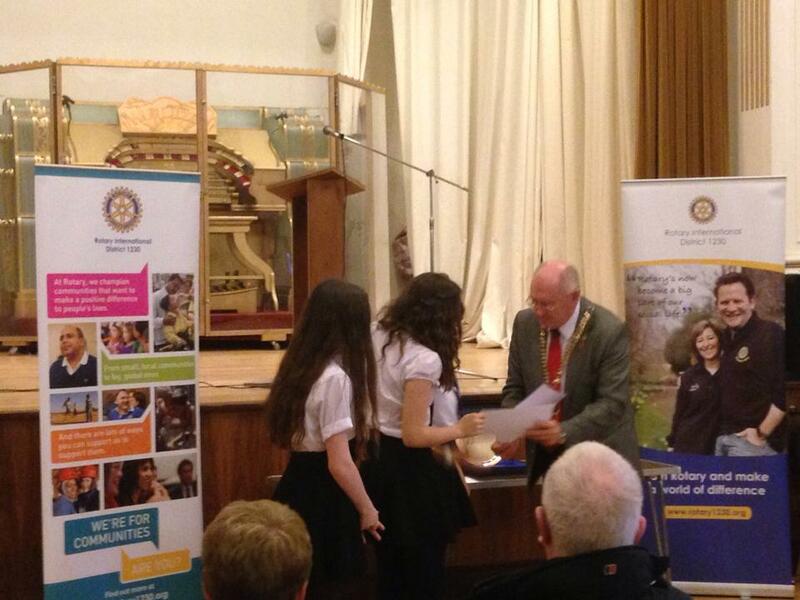 Today, Wednesday 21 January, all S3 pupils took part in a successful event based on Sexual Health. 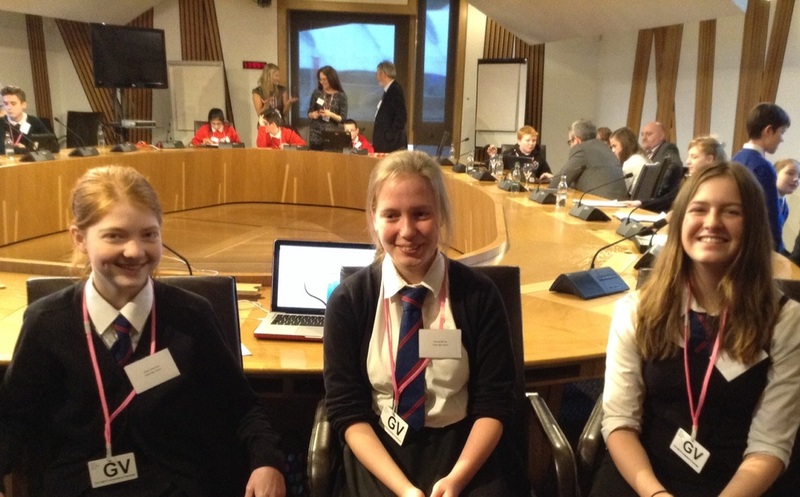 Throughout the event, pupils were involved in mature discussion about their questions, thoughts and concerns regarding sexual health and can use the information to make more positive and informed decisions about their health and actions in the future. 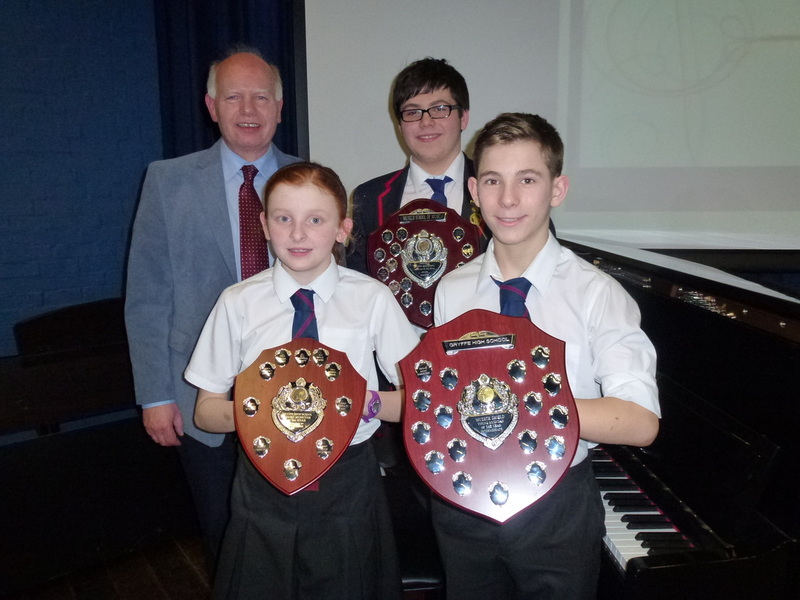 Congratulations to all our talented competitors in our Young Musician Competition 2015, and well done to our winners: Emily Irving S2, Jasmine Galvin S3 and Ben Harper S6. I think all there will agree with Mr David Murray, adjudicator, when he stated how impressed he was with quality and range of performances. Last Thursday two pupils and two staff attended the Renfrewshire Fairtrade Steering group, along with local councillors and community members. 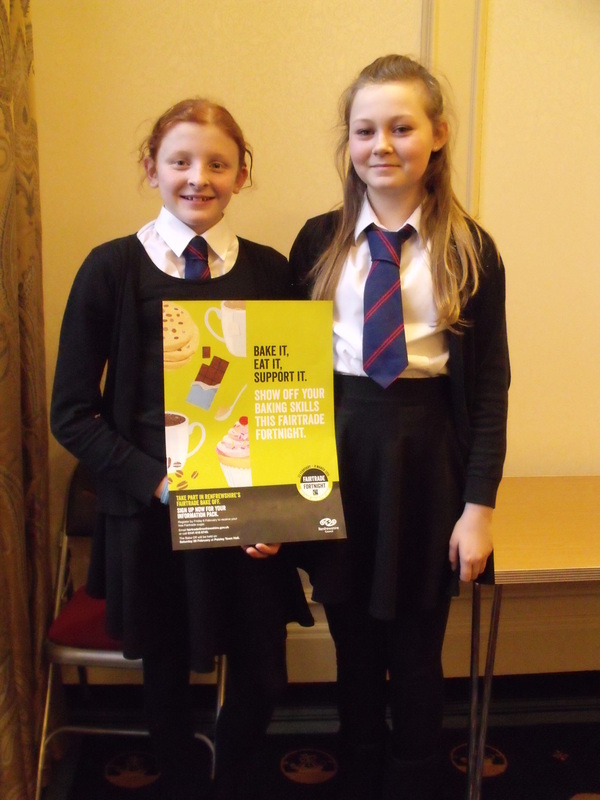 They discussed many Fairtrade topics and the upcoming events for Fairtrade Fortnight. 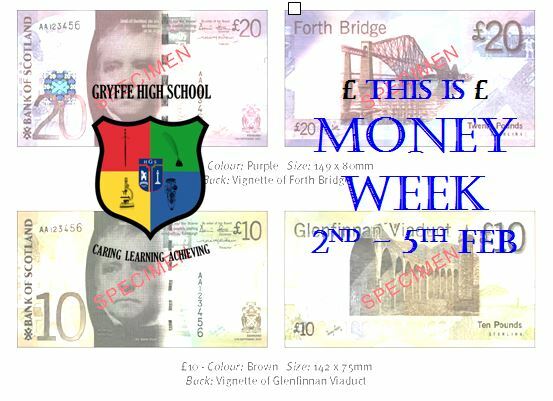 Gryffe were the only school in attendance! 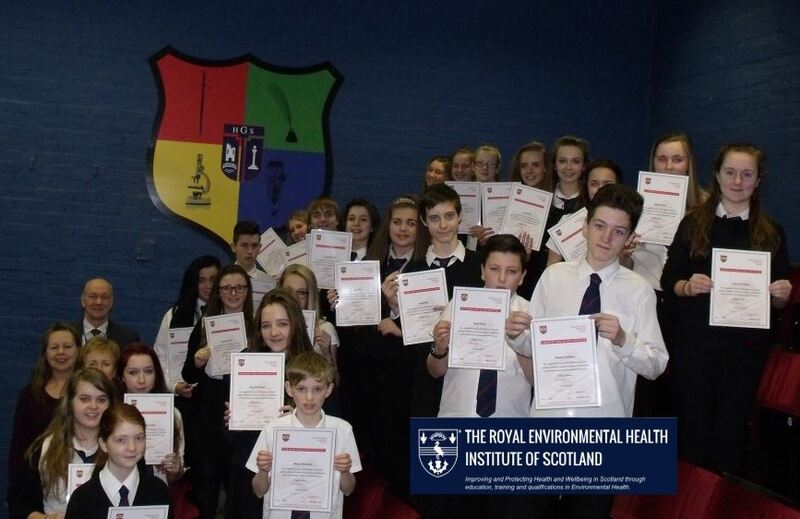 Thirty third year pupils from three classes were presented with their certificates for successfully completing and passing the Royal Environmental Health Institute of Scotland (REHIS) ‘Elementary Food Hygiene Course’. 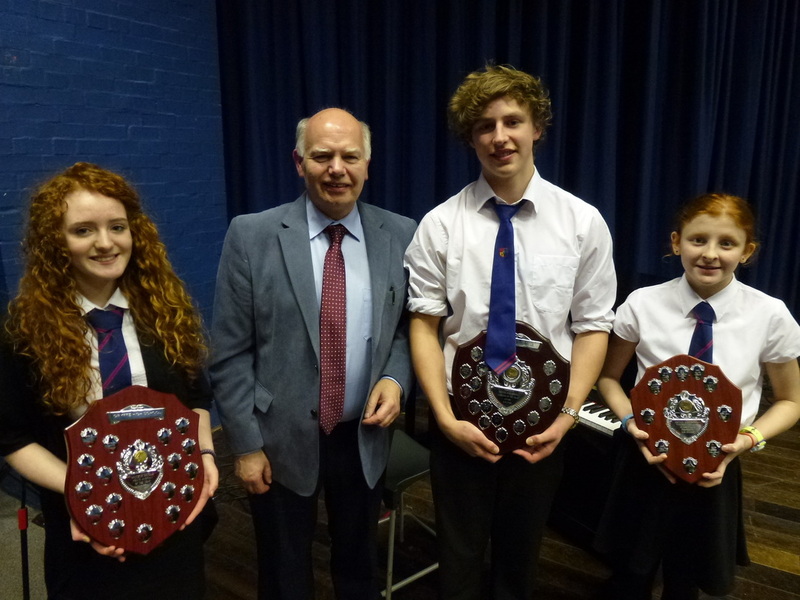 Our Young Musician of the Year Competit﻿﻿﻿ion is on this Thursday 15 January, 7:00 pm start, in the theatre. Please feel free to come along and listen to some exceptional talent, and the constructive feedback from our adjudicator Mr David Murray. 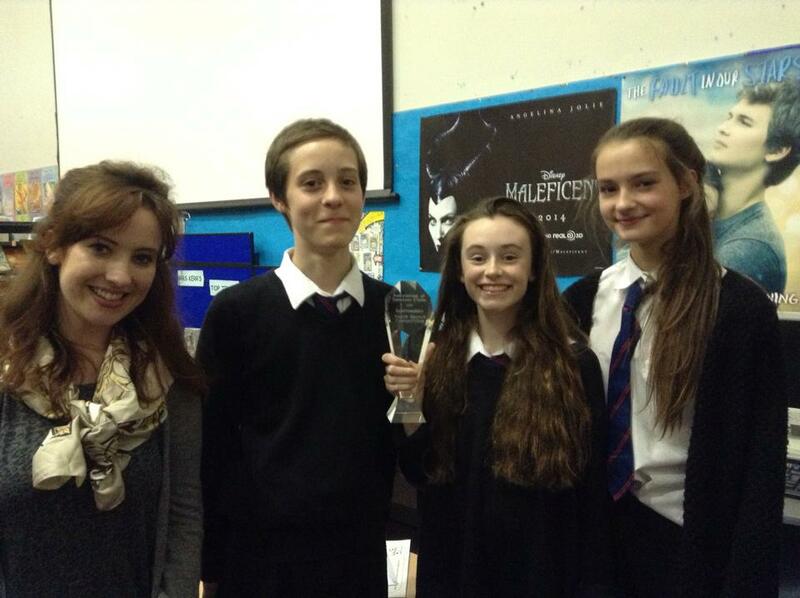 Picture shows last years winners. The January Letter, 2015, has been uploaded under the NEWS/LETTERS section. All I want for Christmas is ........!! A fantastic variety of Music, Language and Drama which was thoroughly enjoyed by all. 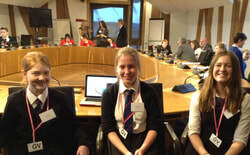 Well done to S3 pupils - Kirsty Donnachie, Seonaid Murray and Amy McColl who successfully represented Gryffe High School at a session in parliament with the Cabinet Secretary for Education and Lifelong Learning Angela Constance on Digital Learning and Glow. Congratulations to Maisie Huey, Euan Huey and Claire Cassidy who on Wednesday won the 2014 ASC (Association of Speakers Club) Inter-Authority Competition, with another confident, knowledgeable and engaging team performance. Very well done!